El matrimonio (marriage) means “union”. Many people might say that it means many other things, positive or negative, depending on the length of that marriage. But that “union” is the key. A husband and a wife should be together most of the time. However, it’s sometimes good to do activities separately. This can help to oxygenate the relationship. Our students on www.spanishviaskype.com have read many times that words and languages are like human beings: they are born, evolve and die, but also they engage with others. 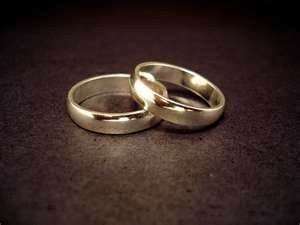 Today we are going to learn some of those “linguistic marriages”. There are some link words in Spanish that can be written in a single word or separately. Sometimes they have different meanings, (por qué, porque, porqué) but in other cases it’s optional the way we write them. But on these last occasions, we recommend you to write them in a single word because it’s more cultivated. En frente or enfrente = both options are correct and they are an adverbial expression that means “opposite” (take care! “in front of” is “delante de” in Spanish). But if you write this in two words we can also find a different meaning. For example: En frente y cara debes ponerte crema solar / You should use sun cream on your forehead and face. Así mismo or asimismo = both options are correct and they mean “also, too”. However, we can also use así mismo to express “in this way / like that”. For example: ¿Qué puedo llevar a la reunion? No importa, puedes ir así mismo / What should I wear for the meeting? It doesn’t matter, you can go like that. Al rededor or alrededor = in this case we don’t have any other meaning. They mean “around”, “about”… Again, it’s more cultivated to use a single word. For example: Tengo alrededor de 20 euros para este fin de semana / I have about 20 euros for this weekend. These are just some examples but we’ll write more about this topic in further posts. If you are studying Spanish via Skype and you hesitate about writing these words, remember, write them juntas hasta que la muerte las separe (together until death tore them apart).